If you missed out on seeing one or more of the Harry Potter movies in theaters, all eight movies are being re-released soon. It’s been announced that the movies will be returning to IMAX theaters starting just over a week from now, with tickets available for both single and multiple shows if you want to make a day of it. 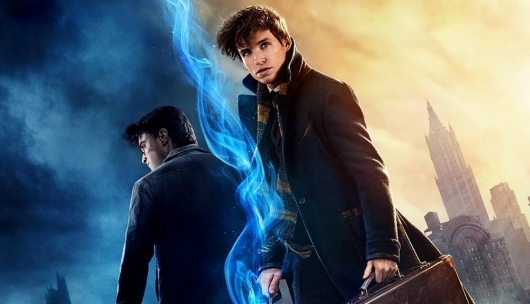 The promotion is to help gets fans even more excited than they already are for the release of the spinoff prequel Fantastic Beasts and Where to Find Them just over a month from now. You can find full details and a poster below. It’s being reported that David Yates and the BBC are set to develop a Doctor Who movie with hopes of turning the property into one of the next big franchises. The Gold Box deal of the day over at Amazon today is Harry Potter Years 1-6 Gift Set for 60% off. The DVD is $23.99, while the Blu-ray is $39.99. Note, this sale is only for today, Tuesday November 23, 2010, until midnight PST while supplies last. Both sets contain the first six Harry Potter films, along with tons of bonus features (see below for full list of extras). 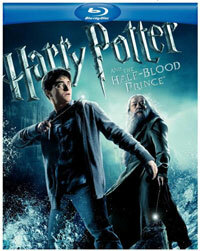 The Blu-ray edition comes with an extra bonus disc with additional deleted scenes; cast Q&A, a profile on author J.K. Rowling, footage from Harry Potter and the Deathly Hallows, a look at The Wizarding World of Harry Potter at the Universal Orlando theme park, and more. 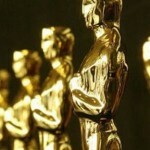 Geek Discussion: 82nd Annual Academy Award Winners & Losers! As always, we like to have the results of the big awards ceremonies here for all to see, and tonight was the biggest of them all: the 82nd annual Academy Awards. This, the king of all awards shows, has faced much criticism the last few years, and their nominations this year did not help bring validity to their cause. Many of the films and actors were very deserving of their nominations, but many others were passed over in lieu of some big box office successes of questionable overall quality. And though they made a valiant effort to increase the excitement of the show with 10 Best Picture nominations, the end result was frustrating to we the film lovers of the world? In the end, some fantastic films and performances were justly awarded, and as always, there were a few that rubbed the wrong way. Continue on over to the other side to see all of the final results! 82nd Academy Awards Nominations: ‘District 9′! Oh, And…’The Blind Side’!? For we the movie fanatics of the world, the Academy Awards are just as exciting as the Super Bowl. Many of us throw or attend Oscar parties, and even go so far as to print out that ballot and lock our picks into place. Over the past few years, this and a lot of other awards shows have kind of lost their flare. It has become apparent that deciding nominees and voting for winners is not about who is the best and who is most deserving, but about what has the best side-story and what the popular names and titles are. This massive flaw is hard to swallow, and the appeal of the whole event is bordering on non-existent. To help bring more appeal to the game, the folks behind the Academy Awards chose to make a few changes in the format of the show. The biggest of these alterations was of course changing the amount of Best Picture nominees from 5 to a whopping 10, which meant that all of the deserving but not-so-traditional contenders (The Dark Knight) could get their chance to be underdog heroes. Continue reading on for more and to check out the full list of this year’s nominees! Right now, visit Amazon’s CODE REDEEM page and enter code AVODGIFT to receive $4 credit (no purchase necessary) to use towards a Video On Demand rental or purchase through Amazon’s VoD catalog. You have until January 3, 2010 11:59 PM PST to redeem the code and apply it to a rental or purchase. Also, Amazon is currently offering several Buy Now Watch Now deals on the latest movie releases for U.S. customers. Check out some of my picks here below from the eligible Buy Now Watch Now titles. With each new Harry Potter movie, one must prepare themselves to be deafened by the cries of the divide. People either want the movies to follow the books page for bloody page or they want a standalone movie that they can enjoy outright. At this stage in the game I’m afraid neither one is fully possible. Before you walk into Harry Potter and the Half-Blood Prince, you have to decide what it is you want out of it before you will be allowed to enjoy it for whatever it is you are looking for. The movie lover in me wants to be able to look at this or any film in the series as a singular unit and enjoy it for what it is and for what it accomplishes — as a film — but I am also a realist. The problem with this approach is that you are dealing with a canon of material that, to me, makes this an unattainable request. 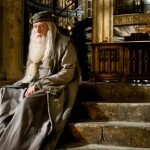 If you were dealing with a series of movies that simply involved central characters with a new story each time you might have a better shot at it, but the complete story of Harry Potter was told by way of seven books; each adding more layers and revealing more of the story as it goes along. You are almost forced to enjoy the arc rather than the individual pieces. Here we are, kids. Next week, Harry Potter and the Half-Blood Prince will finally be released to rabid fans — unless of course Warner Brothers decides to delay it again, in which case rabid fans would turn into riotous mobs. For this glorious last storm toward their release date, WB has put out a gigantic pile of official images — many are official images, while a couple are behind the scenes shots. Even better yet, there’s a handful of pictures included that are quite interesting to those (myself included) who have not read the books yet. 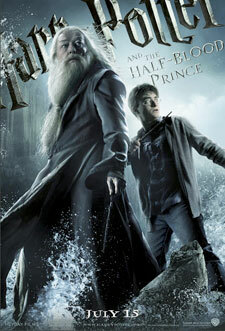 This sixth installment in the franchise will see Harry Potter discovering a mysterious book with an inscription claiming that it is the property of the Half-Blood Prince which contains and teaches Potter some incredibly powerful new spells. 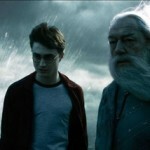 At the same time, Dumbledore begins to personally train Harry and retrieves the dark memories of Voldemort’s past to show him. You can see a bunch of the images by clicking over to the other side, and you can see them all by heading over to io9! 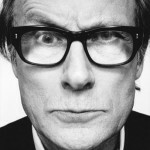 The Harry Potter website, The Leaky Cauldron, has found out that actor Bill Nighy has told The Independent that he will finally be starring in Harry Potter and the Deathly Hallows after a long, long time claiming to be one of the few British actors not cast in a Potter film. I don’t think I’m allowed to say it but I’m going to be in the next Harry Potter film. I won’t say which character, but he’s a goodie. I just got the gig. An extended preview of Harry Potter and the Half-Blood Prince ran on Sunday night during the premiere of the NBC miniseries Merlin. 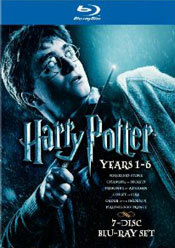 The clip focuses on the dark elements of this sixth Harry Potter story, which sees the dark forces of the magical world crossover in our world, revealing themselves to “Muggles.” There’s also an emphasis on Harry himself as the “chosen one.” Those who know the story, know there’s a entire subplot on the light side, with all the romance amongst the teenagers of Hogwarts. There’s only a touch of that in this preview, which contains new footage from the film.